The “Women of Kansas: Engaged & Empowered Leadership Recognition Award was established in 2015 by the Miss Kansas Organization to honor Miss Kansas 2014, Amanda Sasek. Through her platform, “Find Your Strength: Engage to Empower”, Amanda inspired women to overcome obstacles and purse their dreams by educating women about helpful resources, encouraging women to support women’s organizations and challenging women to build mentoring networks. During her year-of-service and through personal interviews, Amanda connected with over 60 inspirational women leaders of all different ages and backgrounds. Each woman shared their stories, advice, and resources to help inspire other women. With each interview, Amanda gathered inspiring quotes and valuable advice and tips for women! Her Women of Kansas interviews were featured on the Miss Kansas Organization website and on social media during her year of service. APPLICATION AND FULL DETAILS NOW AVAILABLE! The Sunflower Princess Program is a mentoring program for young ladies ages 5-12 (as of May 31, 2019) who have an interest in learning about citizenship, leadership, volunteerism, and have a future interest in the Miss Kansas Outstanding Teen and Miss Kansas programs. Since being crowned Miss Kansas in June, I have been preparing for the job of Miss America in so many ways. If I am fortunate to be selected as the next Miss America, I become the National Goodwill Ambassador for Children's Miracle Network Hospitals. 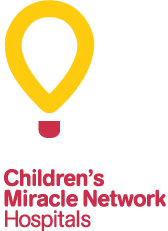 At the local, state and national levels, the Miss America Organization raises funds annually for Children’s Miracle Network Hospitals. The money I raise will help save children’s lives, and a portion will also support the Miss America Scholarship Fund. Pageant Week: June 3-9, 2018 in Pratt KS. Want to experience the opportunity of a lifetime?